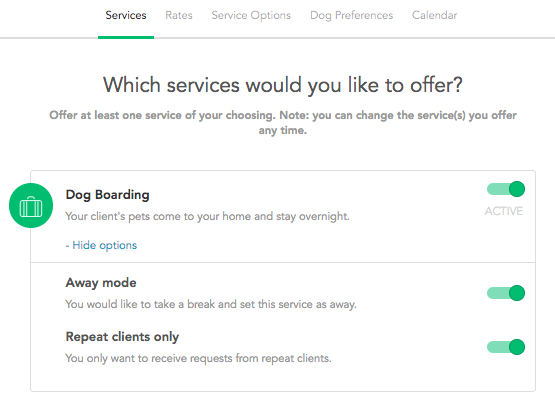 Setting your status to away allows you to take a break from offering services while maintaining your Rover profile and list of dog owners you've worked with. It’s especially useful when you’ll be unable to respond quickly to requests—like during a well-deserved holiday or when you’re hosting guests from out of town. That's because when you set a service's status to away, you'll no longer be visible in search for that service. 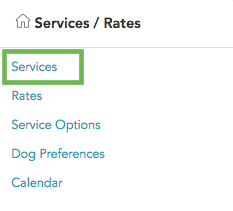 Additionally, when you set a service's status to repeat only, your profile will be removed from search results for that service while still allowing dog owners you've already worked with to contact you with requests.